The idea of a minimum annual income for every Canadian could provide a more efficient alternative social safety net, but reform is an unlikely and unrealistic option, according to a new report from a conservative think tank. The Fraser Institute report “The Practical Challenges of Creating a Guaranteed Annual Income in Canada," released Tuesday, said the country could benefit from administrative savings and efficiencies by moving off the current multi-program, multi-jurisdictional social welfare system to a single unconditional cash transfer under the guaranteed income system. A guaranteed income system would see low-income Canadians receive automatic salary top-ups in order to bring their annual income up to a level above the poverty line. Supporters such as Senator Hugh Segal say such a program could go a long way to ending poverty in Canada. Read more: A Guaranteed Income Program Solved Poverty In A Manitoba Town, And Nearly Everyone Forgot..
A guaranteed income program would be a single program operated at one level of government and therefore would be simpler and less costly to manage than the overlapping rules currently in place, the Fraser Institute’s report found, since fewer resources would be required to oversee it. It could replace programs such as Old Age Security, Employment Insurance and various tax credit programs. But the authors said the idea is too loosely formed and would require so much co-operation among various levels of government that it would not work. “A GAI would face further challenges when it comes to replacing existing programs that serve specific purposes and/or target certain groups (Old Age Security, the GST/HST Credit, and programs for the disabled, to name a few),” they said. Implementation of the program could be “an administrative disaster” they say, with one-time costs so large they overshadow the program’s potential savings. 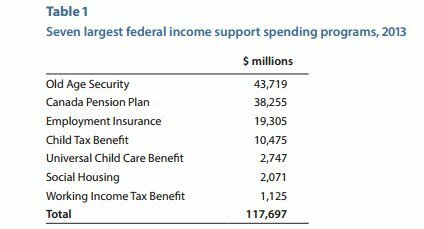 To illustrate the magnitude of reform to a guaranteed income system, the report’s authors point out the existing system of social assistance is estimated to have cost $185.1 billion in 2013, roughly 10 per cent of Canada’s economy or 22 per cent of Canadian governments’ program spending. 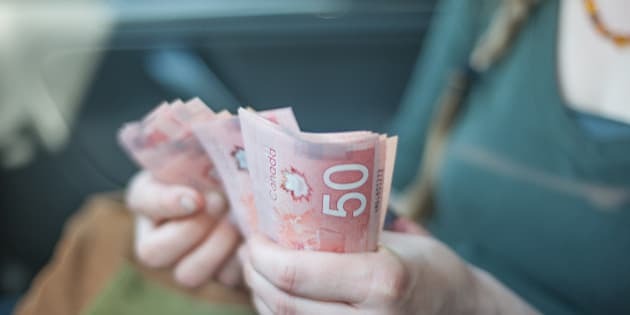 A Huffington Post Canada report on a town in Manitoba that experimented with a minimum income in the 1970s, an opinion piece in the Toronto Star from senator Art Eggleton endorsing the idea and other recent stories have renewed interest in the idea of a guaranteed annual income. Similar ideas are also being floated in Switzerland and Greece. “Despite the renewed interest, a GAI reform is unlikely to become a reality in Canada,” the Fraser Institute concludes. However, they say there may be alternative reforms that could improve the current system and achieve the same basic goal as guaranteed income, such as work-based subsidies that would encourage able-bodied Canadians to work rather than rely on the system long-term.